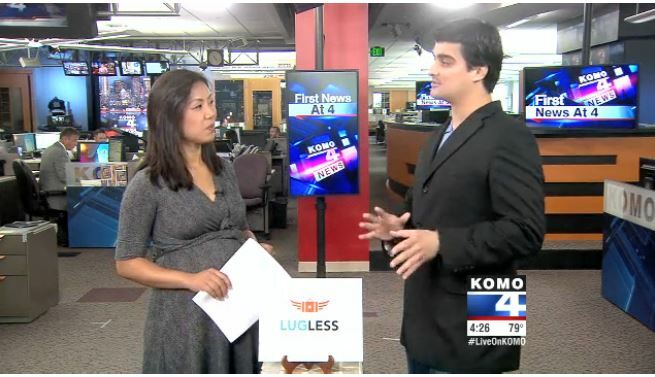 Congratulations to our Client LugLess for their feature on KOMO News. LugLess is the #1 luggage shipping and luggage delivery service for those travelers that do not want to deal with ridiculous airline baggage fees, crowded check in and baggage claim areas, lost luggage, TSA, long security lines, and the overall nightmare of traveling with baggage. LugLess makes it easy and affordable to get your luggage to its destination safely, economically, and most of all on time! You may have Â seen LugLess on Shark Tank! In his interview with KOMO News, Brian Altomare, Co-Founder of LugLess shares what it’s like to swim with the sharks on Shark Tank. See the interview here and find out more at LugLess.com! Note: To receive media features for your product, visit www.chicexecs.com/public-relations.